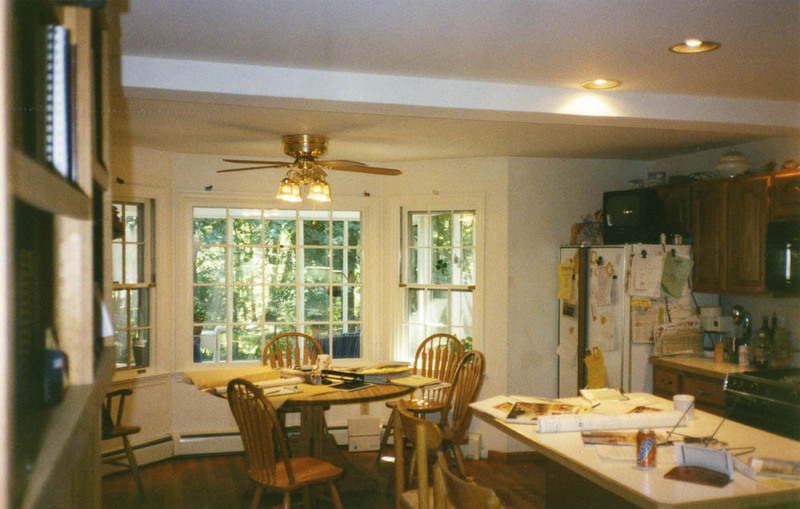 This residential renovation addressed a kitchen and adjoining screened porch. 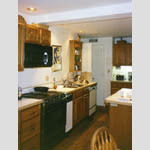 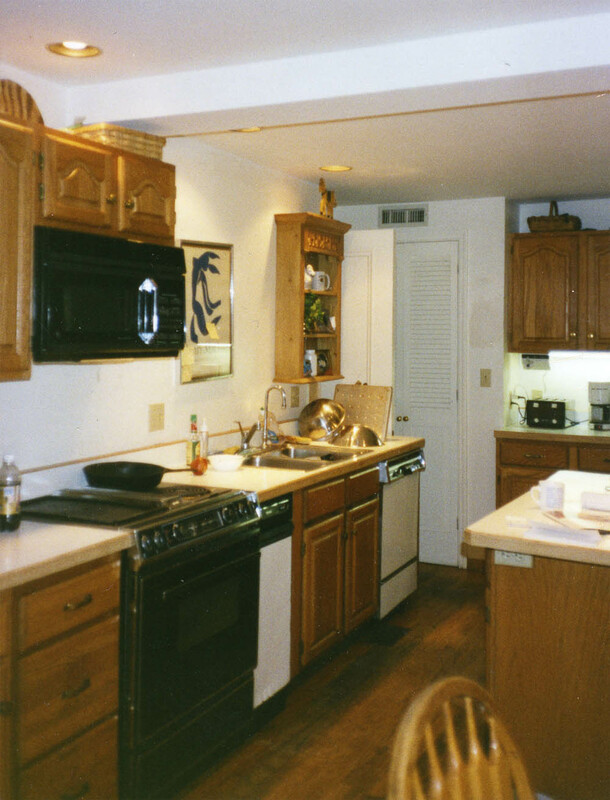 The family wanted an updated and brighter kitchen space. 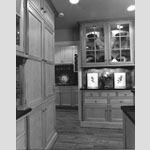 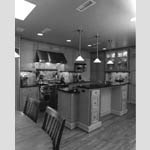 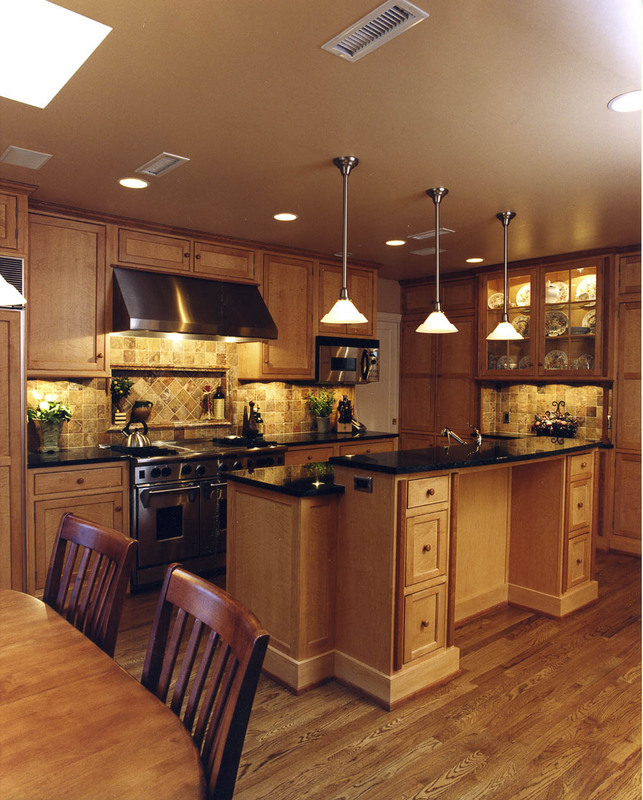 Chambers Architecture worked closely with the client on the arrangement of every element of the kitchen, including specific placement of cabinets, appliances, electrical receptacles and light fixtures. 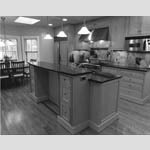 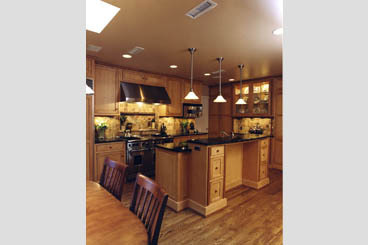 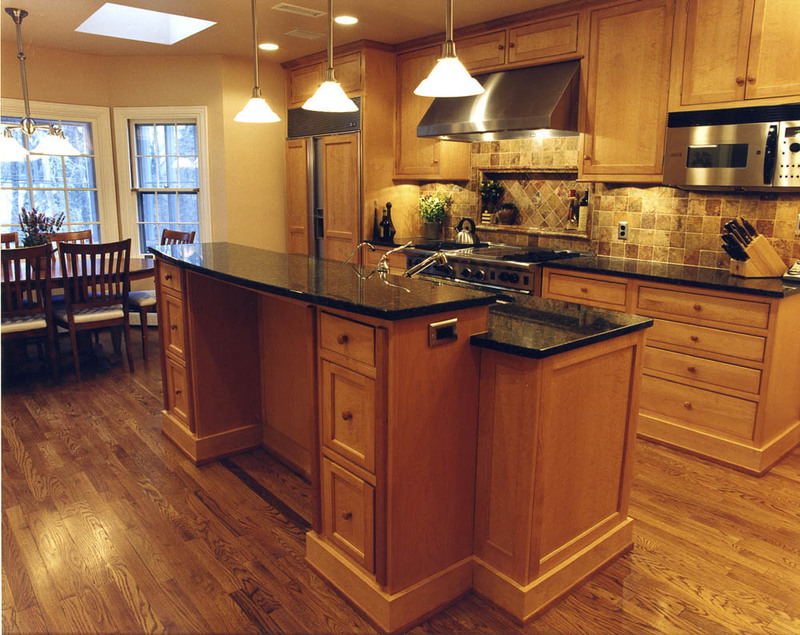 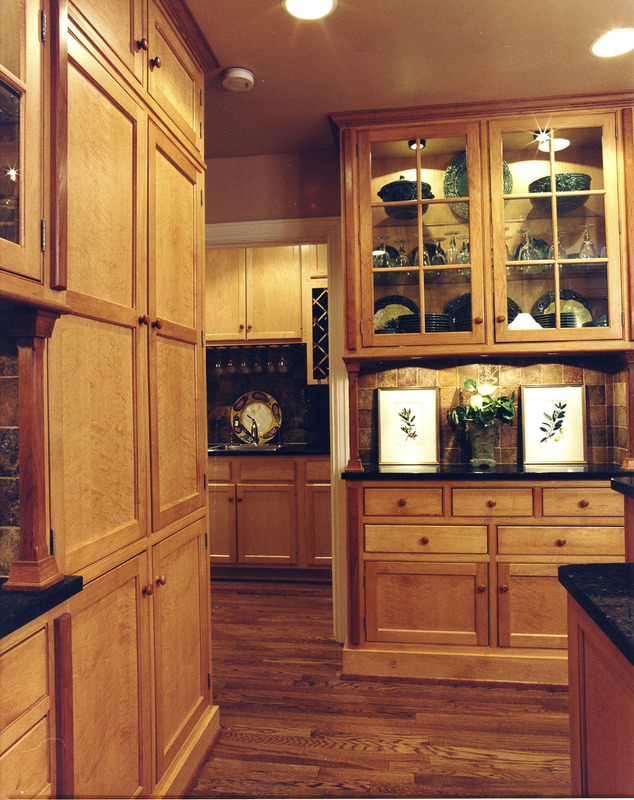 Custom birdseye maple cabinets were built with contrasting cherry trim elements. 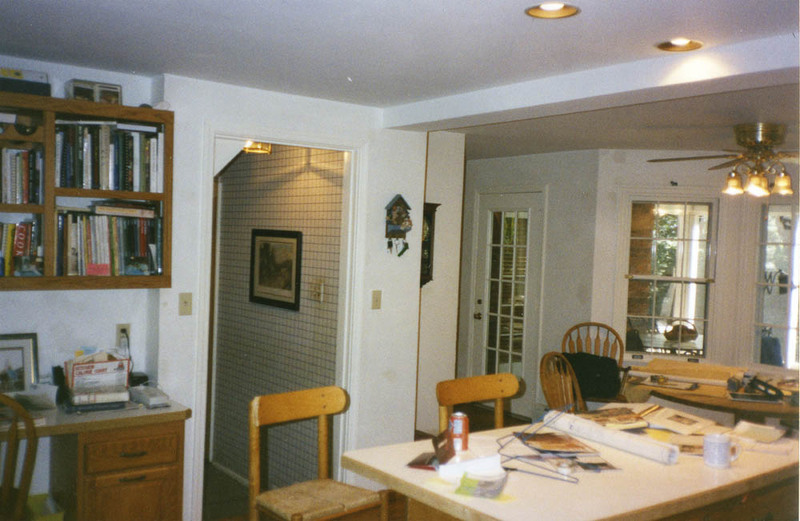 A new hardwood floor was installed. 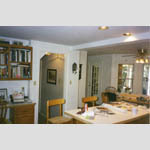 Skylights increased natural light in the kitchen. A steel beam supporting the second floor that visually bisected the kitchen was raised above the ceiling to create a more uniform space. 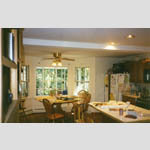 New Tuscan order columns were installed to support the existing screened porch. Other improvements to the screened porch included a new brick paver floor, ceiling fans, lighting, new beaded wood ceiling, and removable screened panels.